Who can see the Dashboard? 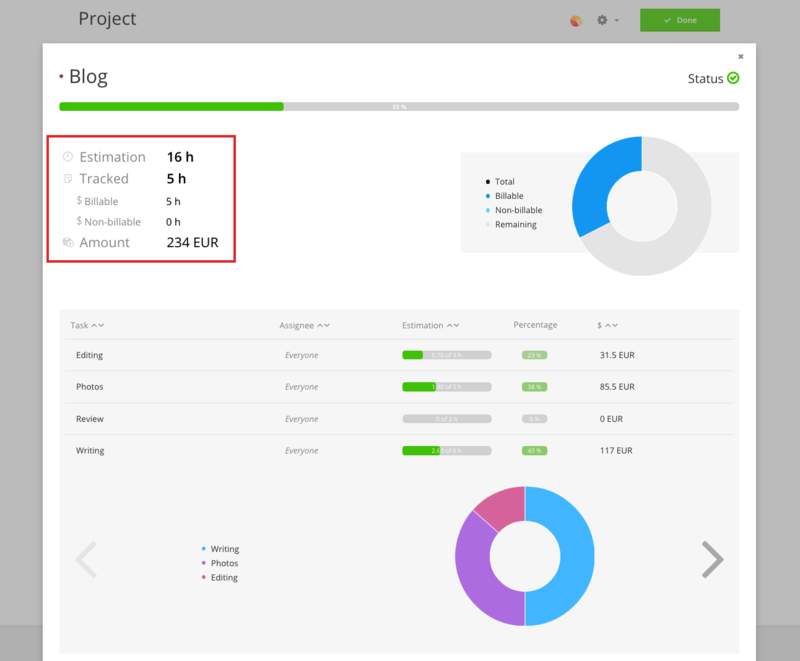 Project Dashboard can only be viewed by Workspace Admins and Project Managers. Regular users are not able to view the dashboard. Project Managers can only see the dashboard for Projects of which they are managers. Admins can view it for all Projects in the Workspace. 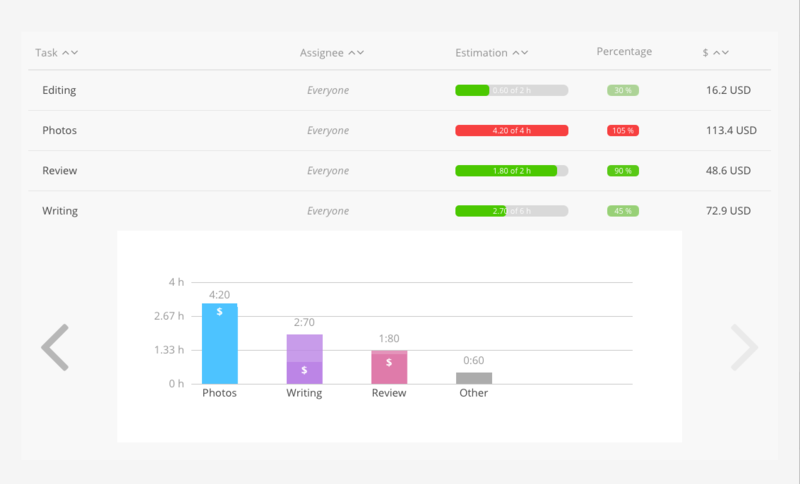 Project Dashboard allows you to see the progress of your whole Project, also separately by each Task. The timeline at the top displays the tracked time for the project as a whole compared to the Estimation. More detailed information available below the timeline includes estimation, time tracked in total and more. The data on the lower level provides an overview of the individual progress of each Task. This can be displayed as either a pie chart or two bar graphs (switch between the two by clicking on the arrows). The horizontal bar graph shows total time tracked for each Task individually as well as tracked time vs the Estimate. Estimates still in progress show the tracked time in the darker shade. The vertical bar graph shows hours tracked to a Task and how many of those hours were billable. Billable hours are represented on the bars by a darker shade and a white $ sign.